Have you ever felt like you didn’t fit in? Maybe you’ve been left out before. I know this feeling well. For a good part of my life, I suffered with insecurities and feeling left out. It’s not a good feeling. It’s rejection and it’s a very real emotion that can be crippling. Do you suffer from rejection? If you can relate, I want to give you some good news. Jesus Christ! Please keep reading and don’t dismiss Jesus as being able to help you. Jesus has such a heart for you and for me. I know that Jesus can help because He helped me. Rejection can bring you to your knees in pain. There were times that I would be in a room full of people and wonder if even one person in the room would acknowledge my presence. Even if I were included in activities, I felt like I didn’t fit in very well. I struggled with small talk and socializing. It still is painful for me to talk to people without a specific subject in mind. Do you want to know when all of it changed for me? These feelings of rejection and insecurity started to shift the more aware I became of Jesus Christ in my life. For the first time, with Jesus, I fit in perfectly and didn’t feel out of place. He loves me whether I am quiet or if I’m struggling to express my thoughts. He accepts me and acknowledges me regardless if I’m in a room alone or with hundreds of people. He lets me know how very special I am to Him. And I realized another very important truth as well. IT’S OKAY TO NOT FIT IN ALL PLACES. So the next time you are at lunch with friends or co-workers and they are talking about movies and TV shows that you know nothing about, don’t feel left out. Feel loved and cherished that Jesus is protecting you from those worldly things that can interfere with your spiritual growth and your relationship with Him. We all make choices that either launch us straight into the world or straight into our prayer closets getting to know Jesus a little better. What a wonderful Savior and Master we serve. He is right there ALL THE TIME waiting on us to WANT to know Him. But sadly, we choose other things that do not bring us closer to Him. However, He still patiently waits for us. He still loves us very much. For me, today I choose Jesus. Nothing compares with the sweet intimacy with Jesus. Tomorrow, I’ll have to make the choice all over again. Day-by-day we choose the world or Jesus. Some days I do well. Some days I don’t. But the more I experience His sweetness, the easier it is to choose Him. 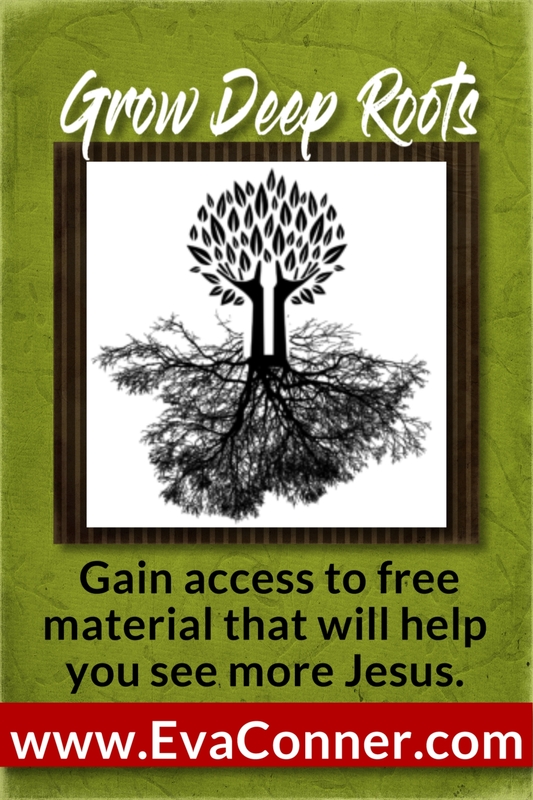 Do you desire a deeper intimacy with Jesus? Here are some things that help me. I find a quiet spot wherever I am. I once read that John Wesley’s mother had so many children, it was impossible for her to find a quiet spot to pray so she’d sit in a kitchen chair and pull her apron over her head. Her children knew if mom had her apron over her head to leave her alone. Isn’t that a wonderful picture? No matter where I find myself, I’ve learned to shut off the noise around me. I quiet my mind by focusing on Scripture. Read the words in the verses slowly, carefully. Chew on them and think about each word. I find that there is not one meaningless word written anywhere in the Bible. Each word has depth and the potential to reveal Jesus from Genesis to Revelation. He is hidden all throughout the Bible waiting on us to find Him. I practice thanksgiving every day. Thank our Father for His goodness. Acknowledge and thank the Holy Spirit for being our constant Companion and Friend. Thank Jesus Christ for being our Lord and Master. I play praise music and sing along. It goes a long way in praising God for who He is. It helps me when I truly sing out loud and praise Him. I try to seek God’s face and not His hand. I enjoy being with God as I would a dear friend. We don’t always go to our friends with a laundry list of things we need. We shouldn’t do that with God either. We need to learn to be in His presence because we want to know Him better. When He starts to speak, I write it down in a special journal. Cherish and hold dear all that He speaks. It takes perseverance and commitment to know God better. If you are married, you can relate to the time you and your spouse spent getting to know one another before you were married. You dated and enjoyed being in each other’s presence. You wanted to know all you could about each other. You wanted to see their heart, right? It’s no different with God. He will show us His heart if we want to see it. Let’s desire to see God’s heart every day! Jesus does not want even one to feel left out, rejected, abandoned or alone. This is good news. Share with all! I am the good shepherd; I know my own sheep, and they know me. If this word resonates with you, please leave me a comment. I want everyone to hunger for more Jesus in their lives. It’s my desire to share my passion and love for Jesus with everyone. It is the only way to see true transformation. « What’s the Condition of Your Heart? Great post, Eva. Seems I have insecurities too, mostly about my blog ministry.